Fed a steady diet of commerce from many of the Midwest’s major city, Indianapolis is fertile ground for businesses of all sizes. And with Valpak of Indianapolis behind you, your business can capture much more of its potential. Our shared direct mailing and digital marketing solutions make it affordable for any business to reach hundreds of thousands of qualified households in the Greater Indianapolis area. The infrastructure has long since been in place and there’s a good chance many of your competitors are already using it. 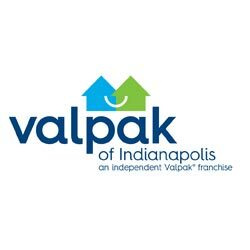 Valpak’s Blue Envelope® of coupons has already made the inroads for companies to mail custom ads to their most coveted neighborhoods in the Indianapolis area. Our tried and true service of shared mailing spreads the costs among each advertiser on board, allowing each company to affordably reach their demographic across the areas they choose. Mail your offer to consumers monthly, quarterly or just once a year. Choose which neighborhoods receive your offers – we’ve grouped them into what we call NTAs (Neighborhood Trade Areas), collections of 10,000 households targeted by mailing routes and geodemographics. And, select the format that’s best for getting your message across to consumers.